OO-ING is seen here being push-backed at Amsterdam while operating a subcharter for Martinair. European Airlines was founded in 1991 by TEA (Belgium) staff and the ING bank (nb: OO-ING as aircraft registration). 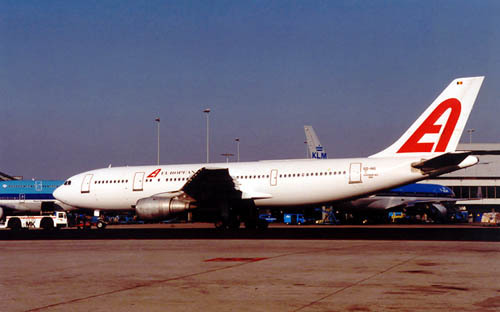 Later A300B4-103 was seen operated by ALFA Hava Yollari (Turkey) as TC-ALS in 1999.